A$AP Nast posted on Instagram a sneak peek of his upcoming sneaker collaboration with Converse. Migos group were n in attendance and performed at the IHeartRadio Village Festival presented by Capital One in Las Vegas. Dior Homme spring 2018 collection, designed by Kris Van Assche, Creative Director of Dior Homme, and embodied by the actor and House muse Robert Pattinson in the new campaign photographed by Karl Lagerfeld. 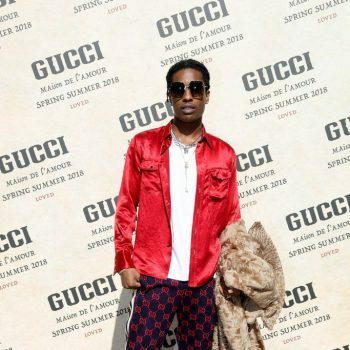 A$AP Rocky wore a Gucci Resort 2018 look to the Spring/Summer 2018 fashion show during Milan Fashion Week. Jeremy Piven In Giorgio Armani – 69th Primetime Emmy Awards. Jeremy Piven wore a Giorgio Armani white + black tuxedo to the 69th Primetime Emmy Awards. James Marsden wore a Valentino suit, shirt + tie to HBO's Post Emmy Awards Reception. Aziz Ansari wore a Salvatore Ferragamo tuxedo to the 69th Primetime Emmy Awards. 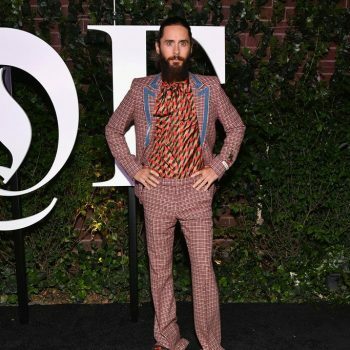 Jared Leto wore head-to-toe Gucci Fall 2017 to the BoF500 gala dinner during New York Fashion Week. 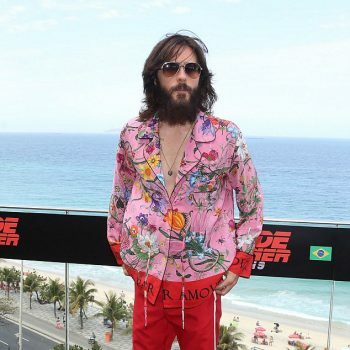 Jared Leto wore head-to-toe Gucci Fall 2017 to the "Bazaaricons" New York Fashion Week event. Drake In Prada Fall 2017 to The Carter Effect premiere at the Toronto Int'l Film Festival.